A national group that aims to elect political independents to public office has dived into the race for a state Senate seat in the West Valley. 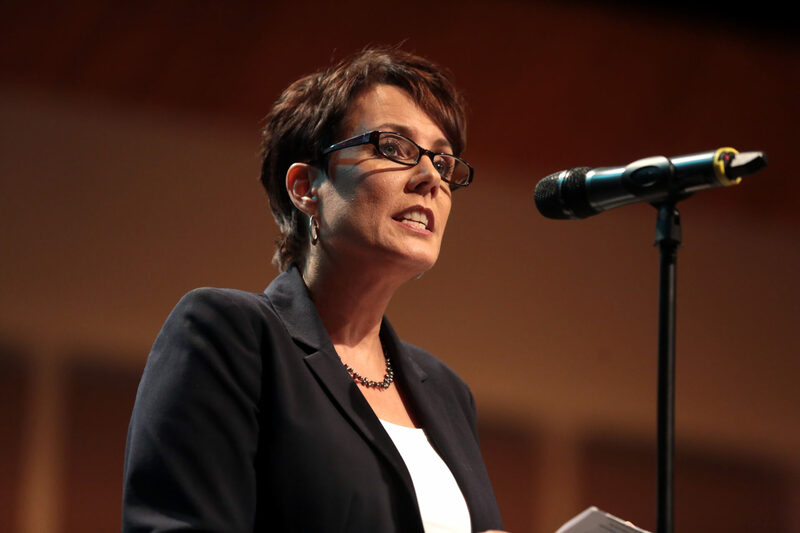 Unite Arizona and its parent group, Unite America, are running television ads to aid Kathy Knecht, an independent candidate for the Arizona Senate in Legislative District 21, a staunchly conservative district that includes parts of Peoria and Surprise. The group reported to state elections officials on Tuesday that it’s spending about $45,000 on Knecht’s behalf, with $20,000 of that money listed as going toward cable television advertising and the rest going toward digital ads. The only listed contributor to Unite Arizona as of its last campaign finance report is Unite America, a national organization that was founded in 2013 with the goal of electing independents. The group, previously known as The Centrist Project, has backed independent statewide candidates such as Alaska Gov. Bill Walker and Maine state Treasurer Terry Hayes, and earlier this year announced a slate of independent legislative endorsements. Unite America’s leadership team includes Joel Searby, who served as campaign manager for Evan McMullin, who ran for president in 2016 as a conservative independent alternative to Donald Trump. Knecht is an independent in a race where there is no Democratic candidate. She is running against incumbent Republican Sen. Rick Gray, who was appointed in January to replace Debbie Lesko after she resigned to run for Congress. But Knecht rejects the idea that she is a de facto Democrat. She emphasizes that she’s been a registered independent for 23 years, and was elected three times as a nonpartisan candidate to the Peoria Unified School District governing board. She won’t commit to caucusing with either party if she’s elected. Knecht said she was compelled to run primarily by education issues, especially cuts to K-12 funding and opposition to the expansion of a school voucher program championed by Lesko, who was still the incumbent when she jumped into the race. She believes the Legislature has gone too far in stifling local control by cities. Though those are positions primarily associated with the Democratic Party, Knecht said she has conservative views, as well. She describes herself as pro-military and pro-small-business, emphasizing that she’s served on the Peoria Chamber of Commerce’s board of directors. “Both sides have good ideas sometimes, and both sides have terrible ideas sometimes. I would like to be that bridge that can get people around the table and be solutions-oriented,” Knecht said. Gray describes Knecht as nothing more than a Democrat in disguise. George Khalaf, Gray’s campaign consultant, said her support primarily comes from Democrats and Democratic groups. And he said her positions on the issues are predominantly Democratic. “There’s no real difference, other than the fact that she’s registered as an independent,” Khalaf said. But Khalaf acknowledged that Knecht’s status as an independent puts the conservative district in play, whereas a Democrat wouldn’t have much of a chance. Knecht dismissed Gray’s allegations that she’s a Democrat at heart as nothing more than typical campaign rhetoric. “It’s not a surprise that my opponent is saying I’m so liberal. In the Republican primaries, that’s how they attack each other. That’s just how they attack. I got mailers at my house about how liberal Debbie Lesko was,” she said of the Republican primary in the special election for the 8th Congressional District earlier this year, in which Knecht voted. Nick Troiano, Unite America’s executive director, said his organization backs Knecht because she is a “true independent” and is a credible candidate with a legitimate chance to win. Being a true independent, Troiano said, is more about governing philosophy than political philosophy — about being willing to find common ground and work with people to get things done. “Being independent isn’t about splitting the difference between both sides. It’s about championing the best ideas and honestly evaluating each issue on its own merits,” Troiano said. Troiano said he expects Knecht to win the support of her district’s Democrats, who don’t have a candidate of their own, and to get the majority of independent voters’ support, as well. But just because they share the same voter registration, independents don’t necessarily share the same beliefs. Though they aren’t as tied to the two major parties as registered Democrats and Republicans, most independents still hew closely to one of the parties, said Willie Desmond, a mapping consultant who was hired by Arizona’s Independent Redistricting Commission to draw the state’s current congressional and legislative districts. Desmond and the firm he works for, Strategic Telemetry, provided the commission not only with raw data on voter registration, but analyses to show how proposed districts’ voters performed in elections. If she wins, Knecht will be the first independent elected to state-level office in Arizona. The only independents to serve in the Legislative have either been partisan lawmakers who switched their party registration after getting elected or appointees to replace such lawmakers after their resignations. The political calculus that Troiano said could carry Knecht to victory hasn’t worked in the past. In 2014, Tom O’Halleran, a former lawmaker who was known as a moderate Republican during his time in the state House of Representatives, ran for the Senate as an independent in Legislative District 6, a predominantly rural district in northern Arizona. He narrowly lost to Sen. Sylvia Allen, a Republican with a longtime reputation as a conservative firebrand. O’Halleran was elected to Congress as a Democrat two years later. But Troiano said the political climate, both nationally and at the state level, has made voters more amenable to voting for independents. And he described Knecht as an especially strong candidate. “We’ve met hundreds of candidates around the country. I think Kathy has a better shot than virtually anyone else we’ve come across,” Troiano said. Knecht isn’t the only independent seeking a legislative seats here this year. Doug Quelland, a former Republican state representative, is running for the Senate in Legislative District 20, which covers parts of Glendale and northwest Phoenix, and Christopher Leone is running for the Senate in Scottsdale-based Legislative District 23. Troiano said Unite America will contribute to Leone’s campaign, though he acknowledged that Leone, who faces both a Democrat and a Republican in the general election, has a tougher road ahead than Knecht. Independents face electoral hurdles that Democrats and Republicans don’t. They must collect significantly more signatures to get on the ballot than their partisan counterparts. But they also go straight to the general election ballot and don’t need to win a primary election. Independents can vote in either party’s primary elections, though only a small number take advantage of the opportunity. And in general elections, independents lack the party infrastructure that Democrats and Republicans have, a deficit that Unite America was created to help remedy, Troiano said. Unite Arizona’s assistance adds to Knecht’s already financial advantage over Gray. As of Sept. 30, the end of the last campaign finance reporting period, Knecht had raised $113,000 and still had $76,000 left for the final weeks of her campaign. Gray had raised $73,000 and had nearly $52,000 on hand.